When it comes to taking your life on the road or on a cross-country adventure you need a camper or travel trailer you can count on. Which is why you need to head to Ewald’s Airstream of Wisconsin and see one of the many new and used Airstream here in Franklin, WI. 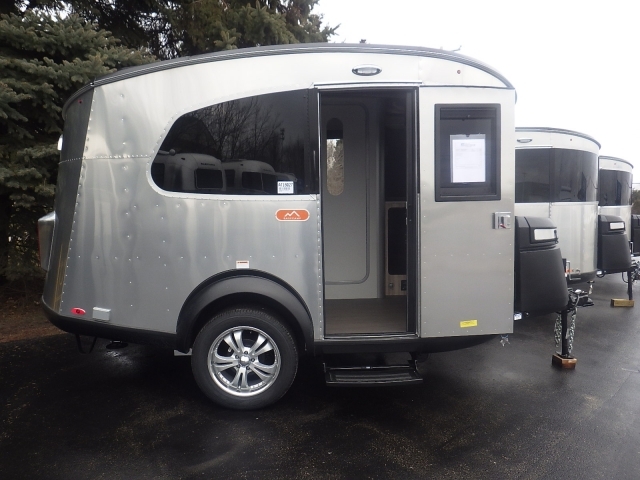 When it comes to finding a large selection of new and used cars for sale, you will not want to miss out the range of Airstream campers for sale here in Franklin, WI. Whether you are looking for small and powerful, or big and luxurious, you can find it here at Ewald’s Airstream of Wisconsin. At this Airstream dealer in Wisconsin, we have everything from Airstream Bambi for sale like the Airstream Basecamp, to the Airstream Tommy Bahama for sale and everything in between. When you are looking for a large selection of Airstream for sale head to the RV dealer near you, Ewald’s Airstream of Wisconsin. Here at Ewald’s Airstream, we have a team of friendly and knowledgeable people who are happy to answer any questions you may have about one of the many new and used trailers for sale. That includes questions about the Airstream Basecamp for purchase here in Franklin, WI. This Airstream for sale comes with many features both inside and out that you will not want to miss. Do not let the size of this Airstream Bambi fool you with hidden storage features throughout the entire travel trailer you can bring all the comforts of home with you no matter where you go. This Airstream camper for sale comes with a multi-purpose seating area that can quickly change into a sleeping area. The couch can be transformed into either two twin size beds, or a queen size perfect for any sleeping arrangement. 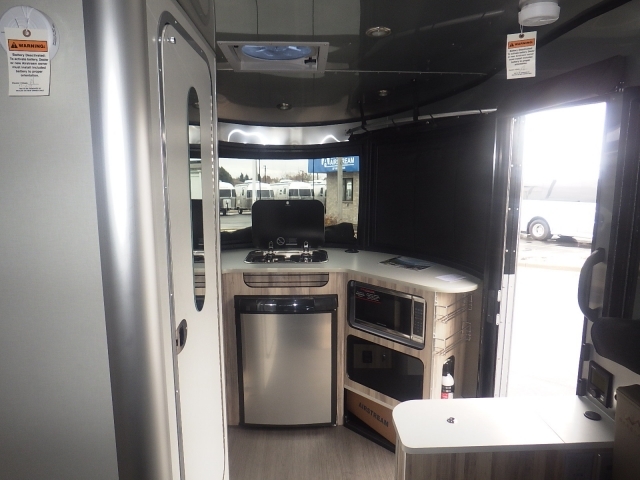 The Airstream Basecamp for sale also features a small kitchen for all of your cooking needs. With space savers including a folding side table and more, you will have plenty of room to prepare and serve all of your favorite meals. This Airstream Bambi also comes with an all in one shower and even features a retractable clothesline to keep your towels dry. With a pass-through showerhead and optional hot and cold water, you can quickly rinse your gear or even yourself off without dragging in dirt and grime into your travel trailer. The Airstream Basecamp also comes with an extra wide hatch makes it easy to pack up all of your large gear, and with a slide screen door, you can let a cool breeze in without the bugs. Count on the Airstream Basecamp to last far longer than its boxy competitors, and with its lightweight and sleek design, you will not even feel the impact at the pump. The Airstream Basecamp was designed for everyone to enjoy, small enough not to need a large truck but with enough space to feel at home. When you are looking for a large selection of Airstream for sale, come to Ewald’s Airstream of Wisconsin at 6319 S 108th ST in Franklin, WI 53132.